I really hope you guys like my Meatless Mondays. I think it's fun to give you a peek into what I eat besides spaghetti and lots of different pizzas :). This meal was actually made by my husband. He's a really good cook. I wanted to share it with you though because it's quick and easy. We've actually had it three times in the past two weeks because it's so easy and good. Excessive? Maybe. Delicious and easy? Definitely. 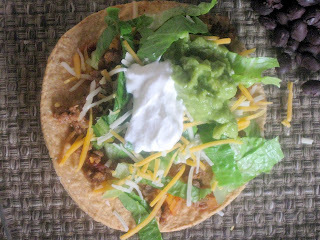 There's not to much I can say about tostadas except for there are so many possibilities. You could use actual meat, black or pinto beans, queso fresco, tomatillo salsa, or anything else you think might be good. You could get really wild and put some grilled zucchini on there too! Happy cooking! 1. Saute the onion in the oil over medium-high heat until tender, 3-4 minutes. 2. Mix in the salsa, crumbles, cumin, garlic, flakes, and salt and pepper. 3. Add 3-4 tablespoons of water, bring to a simmer then reduce heat to medium. Let simmer about 10 minutes (add more water if necessary). 4. Layer the “meat” mixture with any desired toppings onto the tortilla. Your yummy dish just reminded me to make a Mexican night this week. Love it! I'm so glad I could help :) Thanks for stopping by! I actually don't like meat (except for chicken sometimes) so I love your meatless posts! 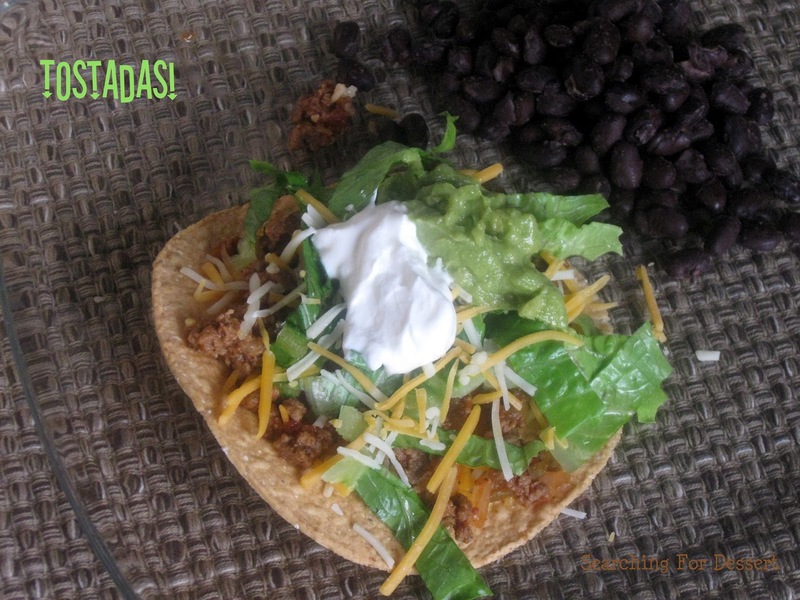 Thanks for linking up to Mealtime Monday! I'm so glad you like the meatless posts :) and thanks for hosting the Mealtime Monday party!